Here you will find great perfume deals and offers. The LD community hunts down the best discounts. You'll find the cheapest prices from Superdrug, Boots, The Perfume Shop, Debenhams, Fragrance Direct and many more. Find perfume for her and aftershave for him. 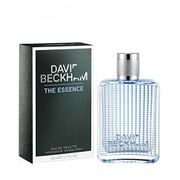 Perfume deals are some of the most popular on LatestDeals.co.uk. Our members seeks the best offers every day from a range of retailers. Whether it's the likes of The Perfume Shop or Fragrance Direct, or more from Estee Lauder and Chanel. People love collecting perfumes and are always seeking discounts. They make fantastic gifts especially at Christmas. Prices vary hugely depending on the brand name, the size, and whether it's perfume or eau de parfum (EDP; diluted perfume - the norm). The variety is what makes perfume deal hunting quite fun. Prices fluctuate often and you can usually find opportunity to stack offers and save extra. Plus, many of the perfume brands give freebies when you order a certain amount and free delivery too. In this article we'll explore how to get the best perfume deals at the cheapest price. The best retailers, when the sales are on and tips and tricks to save money. Where to get cheap perfume deals? Your quest for finding cheap perfume sale in the UK ends here at Latest Deals! We’ve got the best smelling deals, offers, discount codes and voucher codes from the best websites cheap perfume shop, perfume sale shop and the best perfume sale in the UK such as Boots, Debenhams, Fragrance Direct and more! Our team of savvy bargain hunters sniffs out the hottest authentic cheap perfume UK deals to provide you with the best possible savings. All stores in the list have an online presence and some, such as Superdrug, offer free delivery without a minimum spend. How about saving up to 75% off cheap smells for him and her or enjoy 20% off selected top products with our Fragrance Direct promo code? The online retailer also has a clearance event on over 100 products but for one week only! On brands like Calvin Klein, Vera Wang, Lacoste, Joop, Davidoff and so much more. Student can also enjoy 10% off savings on top perfumes. What are the different types of fragrance intensity? Citrus. Infused with the tangy essence of citrus fruits, these perfumes are lively and energetic. They are best enjoyed as a daytime delight, just the thing to wake you up in the morning before you've had that second coffee. Example: Jo Malone Grapefruit, Calvin Klein CK One and The Gap Close. Floral. Florals are sometimes single note, but generally, combine the scents of various flowers to create a classic feminine appeal. Example; Chanel No. 5, Lancome Trésor and Karl Lagerfeld Chloe. Fruity. These fragrances please the nose with the bright and familiar smells of apple, peach, berry, mango and other juicy fruits, often blended with florals to create a compelling aroma. Example: Liz Claiborne by Liz Claiborne, Avon Fire Me Up and Marc Jacobs Splash. Green. Smelling of fresh leaves and newly-mown grass, the green fragrances are a natural and energetic group. These scents tend toward the unisex, so are best left on the shelf when you're dressing to impress a hot date. Save them for daytime instead, when their sporty, modern appeal makes them a great fit for any casual or outdoor gathering. Example: Ralph Lauren Safari, Escada Sport Country Weekend and Adidas Adrenaline. Oceanic. These scents use a blend of synthetic compounds to evoke natural aromas such as mountain air, ocean spray or clean linen. Crisp and fresh, they are an ideal choice for job interviews. Example: Christian Dior Dune, Elizabeth Arden Sunflowers and Davidoff Cool Water Woman. Oriental. Exotic and distinctly feminine, these sensual blends feature an earthy, animalistic base scent such as musk or ambergris, often combined with warm notes such as amber. Example: Elizabeth Taylor Black Pearls, Yves Saint Laurent Opium and Guerlain Shalimar. Spicy. With notes of cloves, ginger, cinnamon, cardamom, and pepper, spicy perfumes are comforting and alluring in an old-fashioned way. Wear one to your next parent-teacher meeting, or at lunch with that handsome officemate who you wouldn't mind sharing pastry with. Example: BCBG Girls, Givenchy Ysatis, and Estée Lauder Cinnabar. Woody. Woody scents are built on base notes of bark and moss, conjuring winding forest paths. While more unisex than other fragrance categories, that's not to say these scents are masculine. Example: Britney Spears Believe, Ralph Lauren Romance, Gucci Envy Me. What too strong means. What people actually mean when they say too strong is they don’t like anything they don’t like the smell off. Certain ingredients make perfume more expensive. High quality fragrances don’t come cheap. Jasmine, for example, requires five million flowers just to make a kilo of oil, hence the cost of jasmine-based perfume. Pick a fragrance to suit your lifestyle. If you find yourself falling asleep in the office, try to avoid .rose-scented fragrances as these may make you want to fall asleep; try and find something stimulating like black pepper infused in your fragrance to keep you feeling more awake. Scent will smell different from every person’s body. Perfumes can smell very different on different people; the scent changes due to the reaction that takes place on the natural bacteria on our skin. When testing perfume, use the white paper blotters found dotted around the shop. Spritz some perfume onto the tip of these to give you a flavour of what it might smell like. Eau de toilette v eau de parfum. Eau de parfum has more stable and lasting qualities; you could spray it at 8 o’clock in the morning and would still have 50% left on you in the evening. On the other hand, eau de toilette, mainly consists of top notes, which give freshness and sharpness in a fragrance. It would smell stronger at first, but by noon time, expect that 80% of it would have disappeared. Where you spray the perfume. Once you’ve found your perfect perfume, try applying onto clothes where there is maximum movement, for example the hem of your dress. Scents smell stronger on movement, whether it’s your wrists, or the trunk of your body. To keep your perfume at its best, keep it away from heat and sunlight such as your bedroom or bathroom window.